Henry Meintjes was born on 25 December 1892 in Colesberg, Cape Province, South Africa. As a youth, he studied at St. Andrew’s College, Grahamstown. From a transcript of the College Register, he had an older brother, Clarence, and another brother Stephen Murray who died young in 1907. Given that Henry and Stephen’s school registration numbers were one apart, there is a chance the two were the same age and, perhaps, twins. At the start of the Great War, he served with South Africa’s 14th Dismounted Rifles, which fought in German South-West Africa. In November 1915, he went to England to join the Royal Flying Corps. by Group-Captain A. J. L. Scott, C.B., M.C., A.F.C. 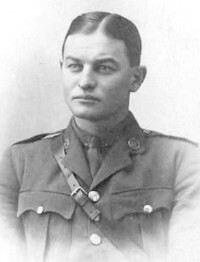 After many months in the hospital, Captain Meintjes was posted to the Central Flying School 25 July 1918, where he would be promoted to Acting Major. He would receive the Air Force Cross for his efforts at the School. On 2 May 1919 he was assigned to the Southern Aeroplane Repair Depots at Farnborough, where he was appointed as Officer in Charge of the Aerodrome. On 14 June 1919, he was transferred to the RAF unemployed list. Returning to South Africa, he became Manager and Chief Pilot to Handley Page South African Transports, Ltd., from 1919 until 1921. In 1922 Major Meintjes entered the South African Air Force. There he “had a roving commission … flying from base to base organising.” In 1928, he supported Lady Mary Bailey’s historic solo return flight between Croydon, UK, and Cape Town, South Africa, by delivering a D.H. "Moth" to replace one that was severely damaged on the way to Cape Town (Flight Magazine, 10 January 1929) . On 4 March 1931, he transferred to the South African Police, where he was appointed Chief Inspector. After retiring from the police, he became the proprietor of the Kensington Bottle Store in Johannesburg. A member of the Pretoria Country Club, he enjoyed tennis, fishing, shooting and gardening. He passed away 2 June 1949, only days after the passing of his older brother Clarence on 25 May. Temp. 2nd Lt. H. Meintjes, Gen. List. T./Capt. Henry Meintjes, Gen. List and R.F.C. Instructors (Graded for purposes of pay as Majs.) (Flying). Capt. H. Meintjes, M.C., vice Capt. (actg. Maj.) J. C. Slessor, M.C. 14th July 1918. Capt. H. Meintjes, M.C., to be actg. Maj. whilst empld. as Maj. (A.). 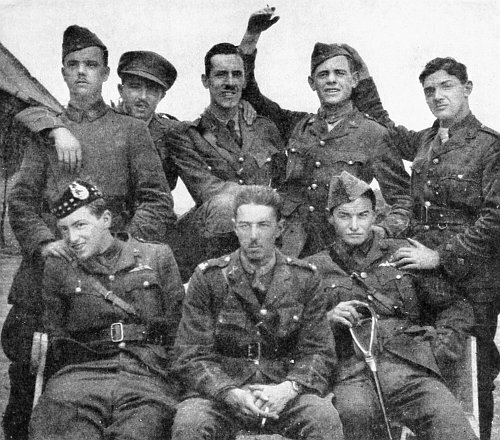 1st Oct. 1918. Capt. Henry Meintjes, M.C. (S.A. Forces). - Sixty Squadron, R.A.F., A History of the Squadron from its Formation, by Group-Captain A. J. L. Scott, C.B., M.C., A.F.C.